We all know that our skin is the largest organ of the body and it is really tough as well as waterproof but it is also very delicate and needs to be taken care of. 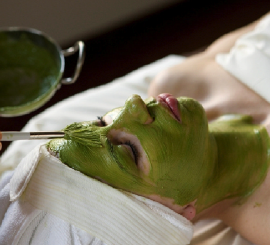 Body treatments are used to pull pollutants and toxins from the body using organic herbs and mineral rich clay. The theory goes back centuries. For example, it has been proven that Cleopatra used clay poultices as skin treatments. Many in medieval times relied on mustard as a way to rid the body of harmful free radicals. In ancient Egypt organic herbs and mineral rich clays were frequently used for beautifying the skin. They would use wrapping techniques or soaking in herbal or mineral baths. It was in ancient Egypt that the wrapping process became highly developed, and very effective. Herbal and clay body wraps were also used in many other cultures; the Romans, Chinese, Japanese where the body wraps were used for beauty and medical reasons. The Methuselah Center is proud to provide clinical massage therapy and an assortment of alternative treatments for stress-related disorders. Our all-natural pain management methods are backed by 25 years of experience from our passionate professionals. Visit our wellness center in Richmond, Virginia, to experience natural pain management and amazing massage therapy.